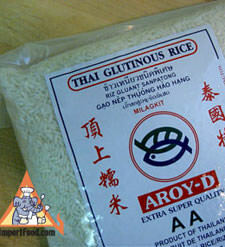 Our Thai Sticky Rice is the highest export-grade from Thailand's 'Aroy-D' brand. Packed in a strong, clear bag as shown. 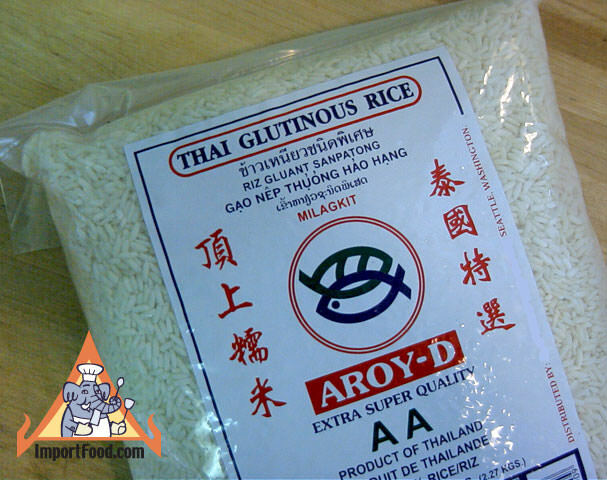 All natural, 100% rice. See recipes below for how to make sticky rice, and several meals typically served with sticky rice, you can also use the steamer to prepare fish/vegetables.